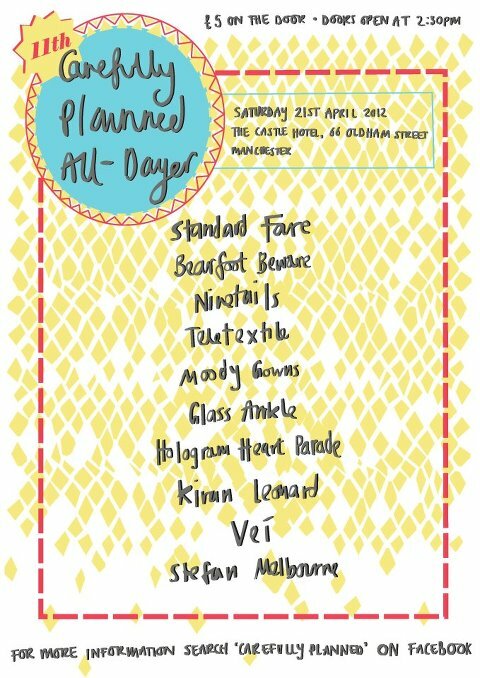 Fun times this Saturday at The Castle Hotel, Manc who are hosting the 11th Carefully Planned All-Dayer. We are set to feature on what seems to be a cracking line-up, at 18:50. Come and see.